But the game at position number two might surprise you. The time of year has come for retail outlets to start pumping out lists of their bestsellers for the year. It's a December ritual I look forward to as much as wrapping a seemingly endless pile of gifts and vacuuming up reindeer fur. For those of you keeping score, Redbox has only been renting games through its iconic kiosks since June 2011, but that doesn't stop them from reporting what games have been the most popular for Walmart goers. Redbox's list of most-rented games of 2011 isn't all that surprising - Modern Warfare 3, ho hum - until you get to number two. Just Dance 3? Really? I like dancing games as much as the next hetero-sexual male, but after seeing Amazon's list with not one but two Just Dance titles on it and now this Redbox list. Wait, Cars 2 for the Wii is ranked 4th. And WTF, The Smurfs Dance Party was rented from Red Box more than Skyrim? Ok, I can safely ignore this list. Or at least realize that this list represents a much different section of gamers than I usually encounter. 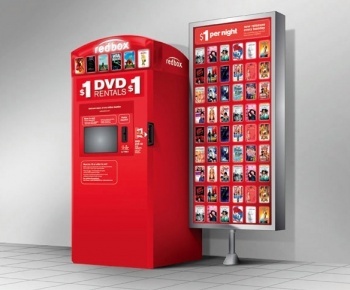 For that reason, this Redbox list is like looking through the bars at chimpanzees at the zoo. Ooh look, they actually use their Wii.